Choosing the wrong Webhosting can ruin your business but sometimes differentiating between the bad, good and batter is the main obstacle and one may not know the good Webhosting provider without trying them but this post is based on my experience not actually a promotional gist to make you believe me. I have been using Inmotion hosting closely one year now and am satisfied and impressed with their services, that is why I will recommend them to my fellow webmasters and bloggers especially if you are not happy with your current hosting or just looking for best reliable and affordable Webhosting. The above link will show you how I successfully moved this forum from Web4africa to Inmotion and my experience after the migration but after using inmotion for 1 year I have decided to recommend them to my fellow bloggers who needs a better and reliable hosting provider with more resources. In case you wish to know why I left web4africa, I was forced to look for a better webhosting when they failed to handle this forum a day without server error despite using their Gold shared hosting plan. After many research and questions, I ended up with Inmotion Visual Private Server (VPS) hosting plan that gave me much more resources that I needed to keep this forum online 24/7 with no downtime and if you are a regular visitor of this forum you will see that xtremeloaded.com is always online and loads faster than ever. Apart from the price difference between web4africa and Inmotion but there are other great features that Inmotion offers which includes free SSL that enabled me to encrypt all my site without paying extra $$. You know how hard or how much it might cost you to install an SSL for your website but with Inmotion everything is free and once I add a new domain, an SSL certificate will automatically be installed without doing anything apart from setting a redirect from HTTP to HTTPS. 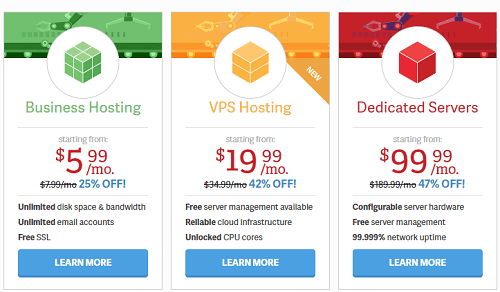 There also offer other affordable Wordpress hosting and business Hosting you can try if you can't afford VPS hosting plan.